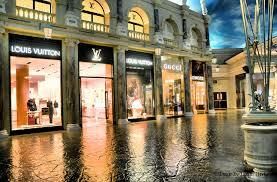 Simon is a global leader in the ownership of premier shopping, dining, entertainment and mixed-use destinations. Home to painted skies, talking statues and more than 160 specialty shops and restaurants, The Forum Shops at Caesars Palace is recognized worldwide as the premier luxury retail destination in Las Vegas offering an excellent location and a fantastic array of sought-after shops and restaurants all in a picturesque Roman-themed atmosphere. 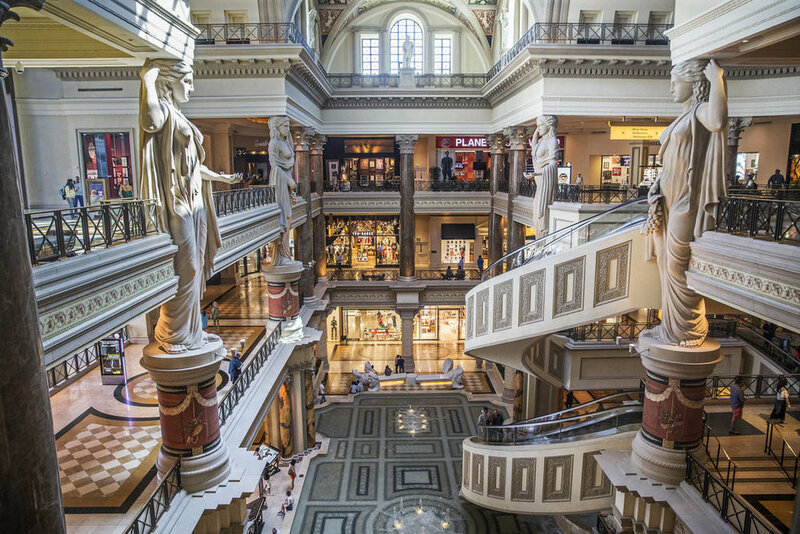 Perfectly situated at the heart of the famous Las Vegas Strip, adjacent to Caesars Palace, this shopping center proudly welcomes more than 28 million visitors annually. - Atlantis Aquarium- More than 300 unique species of tropical fish life can be found in the 50,000-gallon saltwater aquarium. - Atlantis Show- An entertaining take on the legendary story of the ill-fated city of Atlantis. With more than 400 moving parts in each statue that comes to life, The Atlantis Show plays daily on the hour, beginning at 11:00 a.m.
For a complete list of stores at The Forum Shops at Caesars Palace, please click here. 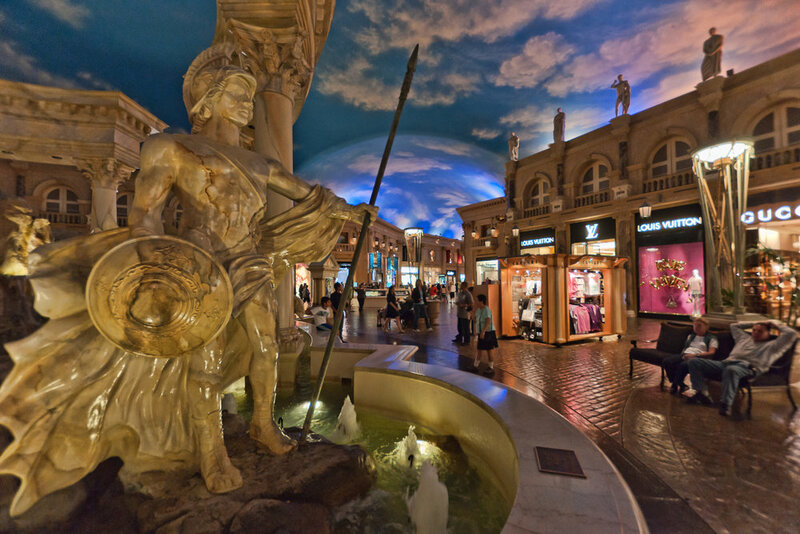 Please note, all shops listed may not be available; please call The Forum Shops at Caesars Palace prior to visiting for information about specific shops.